And those horrible macadamia trees. But their real names are Whig, Mary Jane, and Quetzalcoatl, just to name three of them. Telling you more would spoil the fun. Welcome to this horror collection about the walking macadamia nut trees of Hawaii. Believe it or not, you're going to laugh. A new addition to the humorous horror genre. After Church: Walking Worthy....After the Benediction! A fun listen from beginning to end! Written in a similar fashion to Ray Bradbury's The Martian Chronicles, which guarantees something everybody will enjoy (even if you don't like the whole thing, you'll probably like at least one story). Bill Oberst Jr brings the stories to life with unique voices and a wonderfully smooth way of talking that really engages the listener. Dramatic and comedic timing was downright perfect and I thoroughly enjoyed his Winnie-The-Pooh-sounding cat. 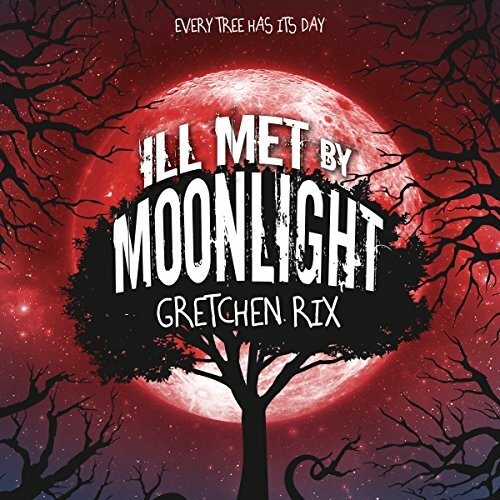 Gretchen Rix leaves plenty to the imagination while also managing to build a unique world around the concept of walking, talking, murdering macadamia trees that (unlike most horror stories) doesn't end in the total annihilation of the threat in question. I enjoyed it immensely and I highly recommend it to anyone who likes a creative concept (or to those who know a good tree). Nix, shows the connection that we all have on each other and warns us to make sure we weigh all the consequences before we act. I enjoyed the Brown Betty recipe and always appreciate a shoutout to the great Magnum PI!!! I really enjoyed listening(and I would recommend listening in the dark; I didn't, but the next time I definitely will). The stories will make you look over your shoulder, any time you're around any trees! So if you love horror, and are looking for something different, check this out. I very much recommend it! This is a side-splitting set of stories about walking macadamia trees that pose a significant health risk to humans. You do not want to get in the way of these bad boys! I laughed out loud more than once. Ms. Rix is not afraid to have her trees chomp down on a few humans. But for the most part, they deserved it. Bill Oberst Jr provides enthusiastic narration that fits the tone of the stories well. He really made the stories come to life. day of triffids on steroids! Vivid imagery and imagination take this collection over the edge! Fun and colorful from start to finish. I was given this story for an honest review. On that note, I'd like to apologize that I wasn't able to finish this batch of short stories. In all honesty, I wasn't a fan at all. I got through the first three stories and, after having not liked any of them thus far, I decided to stop. I think instead of having written multiple short stories about attacking, human eating, macadamia trees, the author should have condensed them down to a single story. That way there would have been a better flow to the stories and they would have had some meat to them. As they stand, there's just nothing there. There are no real descriptions of the characters besides a lady (Betty) being fat. There was no reason or urge to continue listening because nothing really happened. Question for the first story: why would a couple of robbers think a laboratory would have been a good place to rob for money? That made no sense. Question for the second story: What happened? I swear the story started and like 2 seconds later it was done. Needless to say, I wouldn't recommend this author, story, or narrator to others. No thanks.